Dr. Sonia Leziy received her dental degree from McGill University in 1989 and subsequently completed a general practice residency program at the Jewish General Hospital in Montreal. 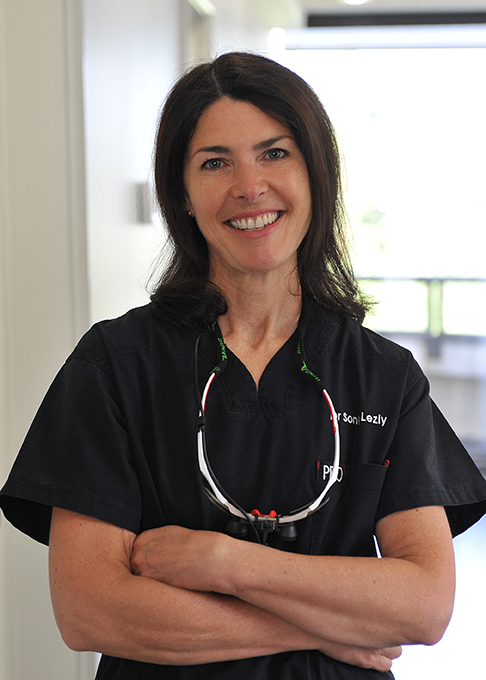 Her post-graduate degree in periodontics was completed at the University of British Columbia in 1993. Dr. Leziy is a Fellow of the Royal College of Dentists of Canada, a Fellow of the ICOI, and a member of the British Columbia Society of Periodontists, the Canadian Academy of Periodontists, the American Academy of Periodontists and the American Academy of Esthetic Dentistry. She is an associate clinical professor and sessional lecturer at the University of British Columbia and co-mentors the multi-disciplinary VIP study club. Dr. Leziy is a member of the editorial board of the Journal Spectrum Dialogue, the Journal Teamwork and the Journal of Esthetic Dentistry and periodic reviewer for the Journal of Periodontics and Restorative Dentistry. She has published on implant esthetics and surgical protocols, including a textbook chapter published by Quintessence Publishing (2008) and a chapter in a follow-up book, Interdisciplinary Treatment Planning, Volume II (2011). Dr. Leziy is actively involved in two clinical trials involving new dental implant designs. Dr. Leziy lectures internationally on the subject of implants and advanced esthetics/periodontal plastic surgery, and has been recognized among the top 100 clinicians in continuing education by Dentistry Today in 2007 - Present. She was selected by her peers and by industry representatives as a Lucy Hobbs Award Winner in 2012- in the mentorship category and the 2013 co-recipient of the Seattle Study Club Saul Schluger Award for excellence in treatment planning. She was the program chair for the 2013 American Academy of Esthetic Dentistry. Family is very important to Dr. Leziy. As loving wife and proud mother of two grown children, and four grandchildren, spending time with her family brings much enjoyment. Sonia enjoys gardening, cooking, and fishing as well as daily road-biking (be nice to her on the roads!) and skiing. Recognized by Dentistry Today as among the top 100 in continuing education in North America (2007 to present). Amongst her roles on several peer reviewed editorial boards, Dr. Leziy has recently been appointed as Implant Section Editor for Inside Dentistry, an Aegis publication. 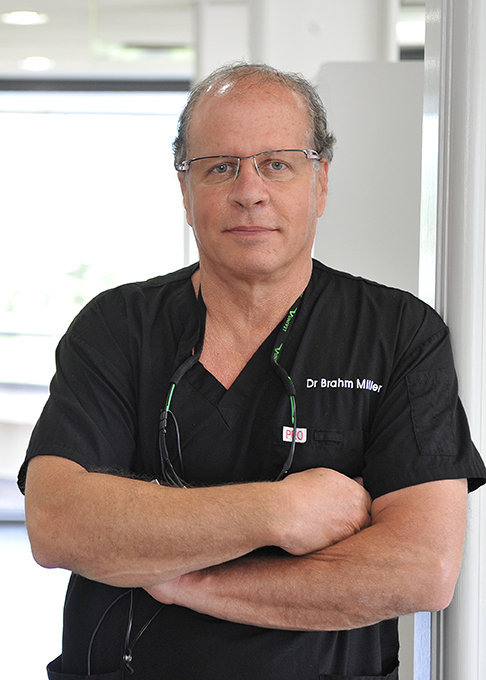 Brahm Miller received his dental degree from McGill University (1990), completed a GPR at the Jewish General Hospital in Montreal, followed by post-graduate studies in prosthodontics at the Medical College of Virginia in 1995. He has been practicing in North Vancouver since 1995. He is a Fellow and examiner of the Royal College of Dentists of Canada, a member of the Association of Prosthodontists of Canada, a member of the Academy of Esthetic Dentistry, a member and past president of the British Columbia Society of Prosthodontists, and a Fellow of the International Congress of Oral Implantologists. Dr. Miller lectures internationally on the subject of implant-based rehabilitation, ceramics and tissue development through provisionalization. He has been recognized among the top 100 clinicians in continuing education by Dentistry Today in 2007 - Present. Dr Miller is an associate clinical professor and sessional lecturer at the University of British Columbia and co-mentors the highly recognized VIP study club (a Seattle Study Club affiliate). Dr Miller is a member of the editorial boards of the Journal Spectrum Dialogue, the Journal of Esthetic Dentistry and the Journal of Periodontics and Restorative dentistry. He is published on the subjects of ceramics and advanced implant esthetics and restoration along with a contribution (2008) with worldwide authorities in the text Interdisciplinary Treatment Planning, edited by Dr. Michael Cohen and published by Quintessence Publishing Inc. Along with Dr. Leziy, he subsequently contributed a chapter in a follow-up book, Interdisciplinary Treatment Planning, Volume II (2011). He is currently involved in a clinical trial assessing a new implant and its impact on crestal bone and soft tissue stability. Dr. Miller enjoys spending quality time with his family, fishing, mountain and road-biking and an occasional glass of fine Bordeaux. Dr. Miller holds positions with several peer reviewed editorial boards. 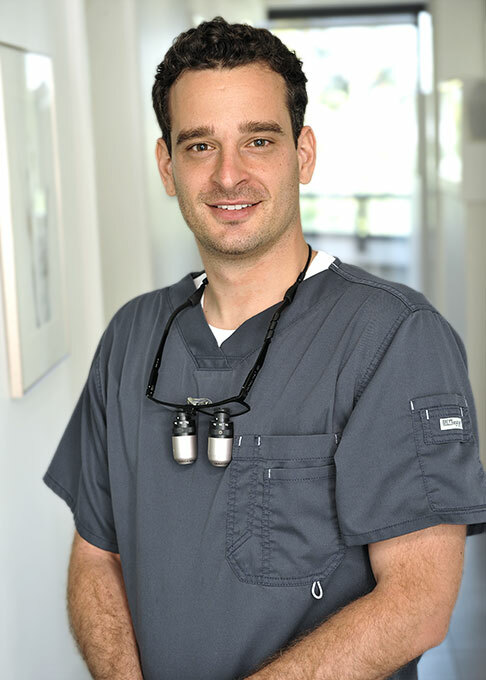 Dr. Mathieu Nault received his dental degree from Montreal University in 2010 and subsequently completed a general practice residency program (2011) and a fellowship (2012) at the Jewish General Hospital affiliated with McGill University. Dr. Nault practiced as a general dentist in Quebec before completing his post-graduate studies in Periodontics at the University of British Columbia in 2016. He received numerous awards in the field of dentistry, including the “Nobel Biocare Achievement Award in Osseointegration” for his clinical excellence. Dr. Nault was a clinical instructor at McGill University in 2012-2013. His research interest focused on the role of blood platelets in periodontal diseases. Dr. Nault enjoys outdoor activities, such as surfing, telemark skiing and fishing.